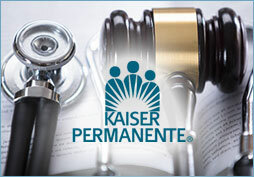 Are you a Kaiser Permanente member who has suffered a serious personal injury due to the negligence of a Kaiser-designated doctor or hospital? Do you want to know your rights as a victim? If so, then please contact my office today. If Kaiser Permanente is your healthcare provider and you have a potential medical malpractice case against a Kaiser Permanente doctor or hospital, there are certain limitations which prevent you from filing a lawsuit. This is because Kaiser has implemented a provision in all of their group policies that requires all cases to be settled through a legal method called arbitration. At the Law Offices of Scott S. Harris, APLC located in San Diego, California, I am a medical malpractice lawyer who is capable of representing your best interests at a Kaiser Arbitration hearing. What exactly is a Kaiser arbitration hearing? Arbitration is an alternate method of dispute resolution aimed at reaching an out-of-court settlement for medical malpractice claims. Often referred to as a mini-trial, a hearing is overseen by a neutral attorney, retired judge or panel, who hears evidence from both sides and hands down a legal judgment based upon that evidence. 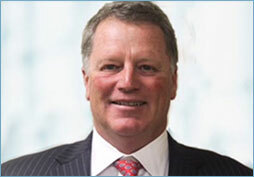 If you are seeking financial compensation for damages suffered by the negligence of a Kaiser Permanente doctor, hospital or nursing home, you need to contact a medical malpractice lawyer in California who is familiar with the complexities of Kaiser Arbitration hearings and who will aggressively defend your rights as a victim. I will represent your best interests and make sure that you are justly compensated for the pain and suffering which you have endured. Please do not delay. Contact the Law Offices of Scott S. Harris, APLC, located in San Diego, California, to speak with a qualified lawyer about your medical malpractice, or Kaiser Arbitration case. All cases are taken on a contingent fee basis, so you do not pay me any fees, unless I am able to secure you the necessary compensation. Please call 619-573-6034, toll free 866-934-2432. Visit the website for the Office of the Independent Administrator to learn more about the rules and regulations regarding arbitrations between Kaiser and its California health plan members.